Join us for a festive evening of holiday shopping combined with local food, drinks & live music! 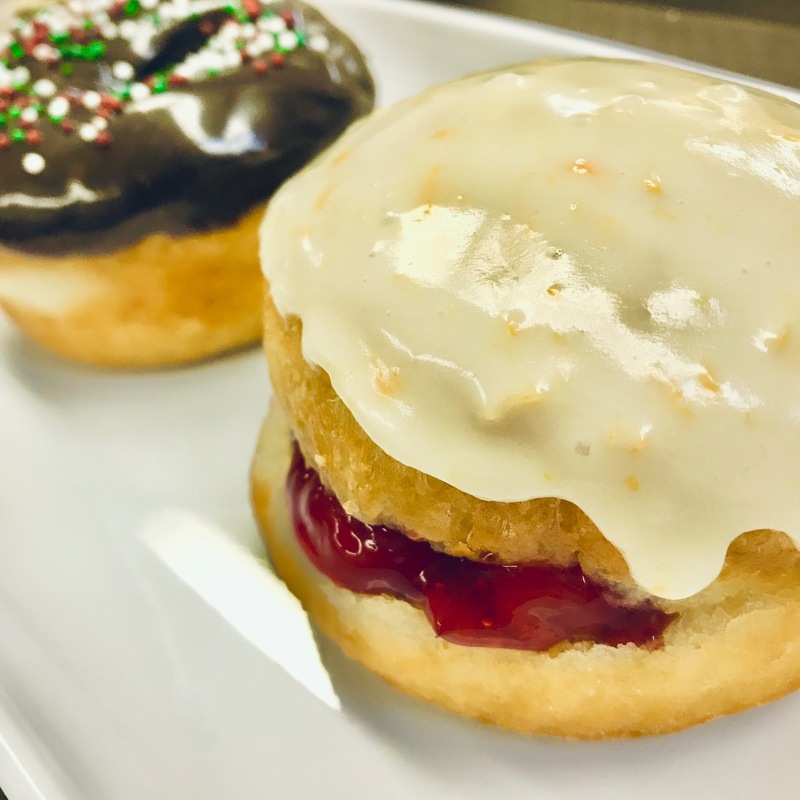 Shop the best in Saskatchewan-made food, beverage, art, & craft, and find the perfect gift for everyone on your holiday gift list! 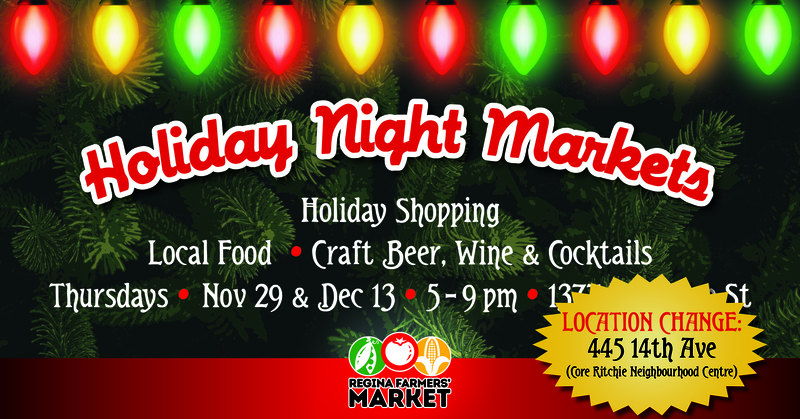 Your favourite Regina Farmers' Market vendors will be in attendance (see below for complete list) with everything you need to prepare for the holidays, including jewelry, soap, fibre arts, baking, honey, locally raised meat and much more! 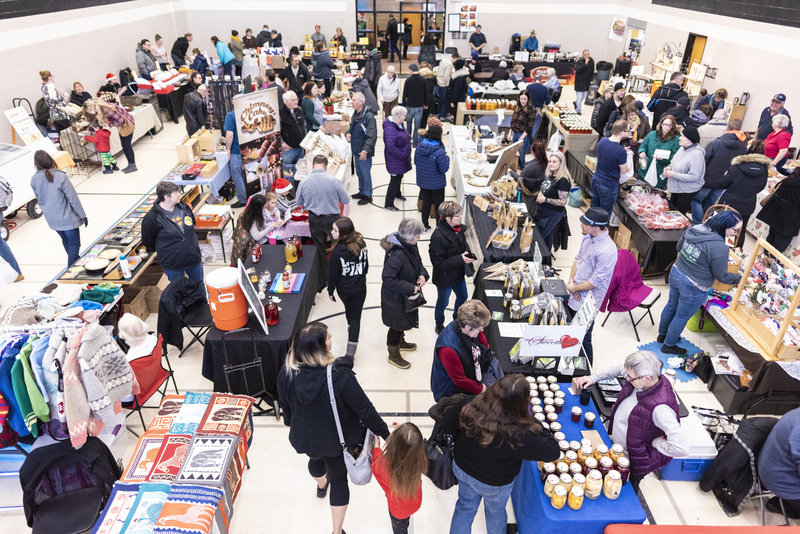 Enjoy made-in-Sask supper and snacks prepared by RFM food vendors, including Baba's Food Spot (perogies), Larry's Bread Machine(fondue with fresh bread), and Prairie Smoke & Spice (chili and jambalaya). Our licensed area will feature the RFM’s stable of artisanal alcohol producers, who will be on hand to hook you up with a beer, glass of wine, or cocktail (drink tickets $4/each). You can also stock up on full bottles of your favourite local wine and spirits for the holidays. Bring along your little local eaters to this family friendly event! Our special kids’ shopping area features RFM products priced at $6 or less, with volunteer Elves on hand to help kids with their holiday shopping and gift wrapping. Kids will also be able to make festive Christmas tree ornaments at our Kids' Club craft table! JUST ANNOUNCED! The Grinch will be on hand from 5 to 7 pm with FREE pictures for the kids! Hashtag - Please share your experience with us using #HolidayNightMarket on Facebook, Twitter, and Instagram! Questions? 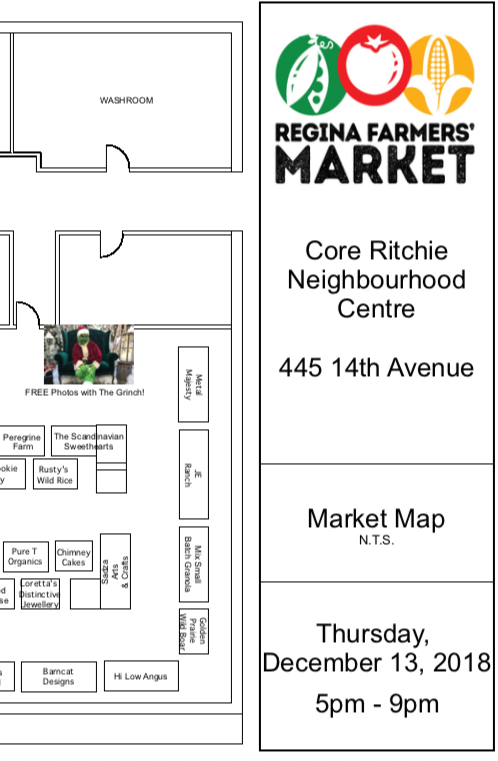 Please contact Regina Farmers’ Market at (306) 209-1130 or for further information. We gratefully acknowledge the financial support of the City of Regina.